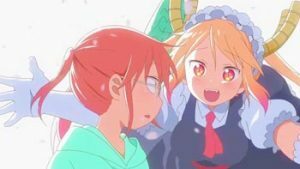 ‘Miss Kobayashi’s Dragon Maid’ Review – Spotlight Report "The Best Entertainment Website in Oz"
Thanks to our friends at Madman we had the chance to see Miss Kobayashi’s Dragon Maid (Kobayashi-san Chi no Meidoragon) in high-quality Blu-ray. When a giant dragon appears at the door of Miss Kobayashi, the hungover office worker freaks out trying to understand what’s going on. Suddenly, the dragon transforms into a beautiful human girl dressed as a maid and introduces herself as Tohru. Kobayashi starts having glimpses of a wild night that ended with her drunk in the mountains and encountering a hurt dragon. From there onwards, Kobayashi’s life changes completely as Tohru moves in with her as her maid. 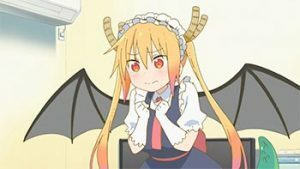 Tohru wants to repay Kobayashi’s kindness doing everything to please her. She tries her best to adapt to the human world despite her dislike of the human race. 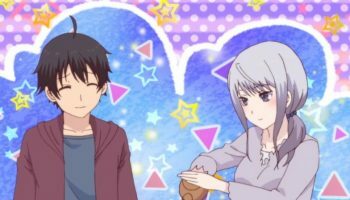 This slice of life comedy doesn’t follow an intricate story but the day-to-day life of its characters is really fun to watch, especially when Tohru’s dragon friends are introduced. Miss Kobayashi’s Dragon Maid features a lot of silly comedy with snappy jokes, but also incorporates various heartwarming moments. 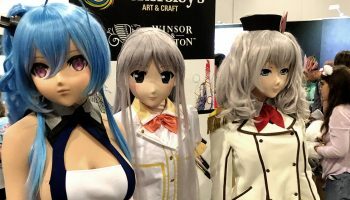 The characters are lovable, fun and mostly cute – especially little Kanna. Moreover, Kobayashi’s personality is very relatable. 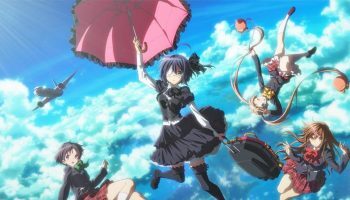 The animation of the series is beautiful and fast-paced with brilliant colours and a catchy opening song. Overall Miss Kobayashi’s Dragon Maid is a highly recommended slice-of-life anime that will grap you from its beginning. Madman brings the series to Australia on Blu-ray and DVD. The Blu-ray extras include: OVA: Valentines and Hot Springs! 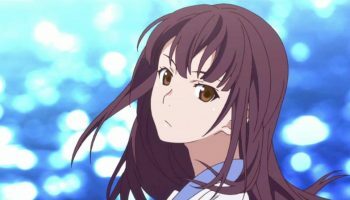 (Please don’t get your hopes up), Miss Kobayashi Dragon Something, textless songs and trailers. Get your copy here.